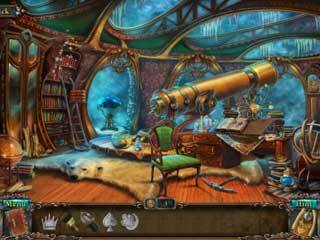 Lost Souls: Enchanted Paintings is another release into the hidden object/adventure genre. The game would then fall into the category of the more light games of this genre, rather than the creepy ones with many horror scenes. Police and FBI were not very helpful, but a fortune teller provides a way for her to try and resque him. The story of the game begins with a mom and her son being delivered and strange package. When they unpack it it turns out to be a painting. They have no idea who sent it, but the son wants it to hang in his room. That same night he is being kidnapped by the very painting. The mom is desparate to find her son. Police and FBI were not very helpful, but a fortune teller provides a way for her to try and resque him. So that's when her journey begins. The journey will spread over several paintings. Each of the paintinf is like a different world, where you are to fix whatever demage was caused by the evil wizzard. The game is drawn in a really nice way. It looks brighter and less dark than the popular eerie games of this genre. You are going to do a lot of interactive wandering here. The game is not very challenging and frastrating as to what to do next. The hints work perfectly not only for the hidden object games, but also for the interactive part. The hidden object scenes follow the typical path. You are to search them through and find everything that you have on the list. Some of the items require more actions, than just clicking on finding them and clicking on them. You will also have to solve some puzzles along the way. They are not very diffult, but skippable in case you don't want to stop there and do that. The game might be better for teh young gamers. They are able to get whatever the typical game of this genre should give, but it is not that explicitely scary. 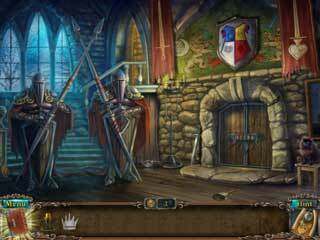 This is Lost Souls: Enchanted Paintings Collector's Edition for Mac OC review. Download this game here.